This page includes The First Day Cover Collecting: Spotlighted or in Passing columns from the 2000 issue of Across the Fence Post. I was recently asked why "special" first-day cover collections appear to have little resale value. It seems that dealers don't want to buy them, and if they do mysteriously appear in a dealer's stock, they are usually priced at about 50 percent or less of the original cost. A collection in this category might even be offered for a token price if the dealer has had it in stock for some time and is trying to move it out. 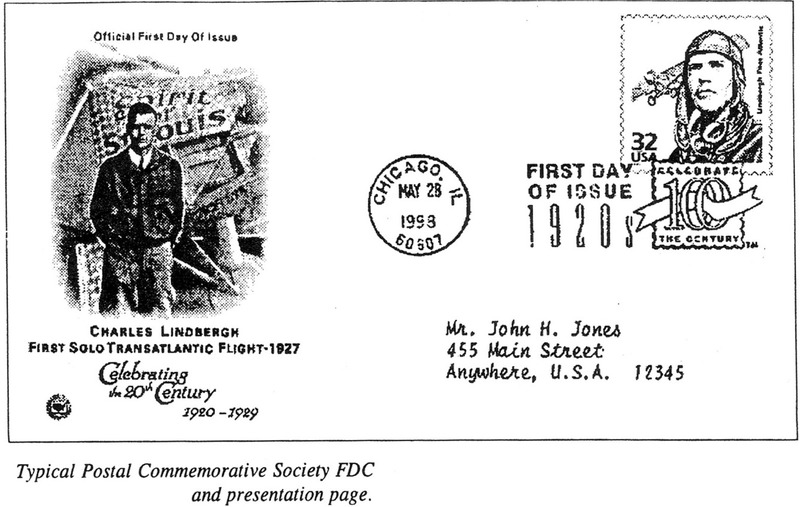 An example of a special collection is the modern U.S. FDCs available through the Postal Commemorative Society. I'm sure many of you have seen these covers advertised in various non-philatelic publications and even through direct mail. You likely were impressed with the artistic presentation, the noble Artcraft cachets, the picturesque presentation pages for mounting the covers, and the gold embossed binders. Each cover is also personalized with the name and address of the recipient typed in script. True, they are well produced and in the beginning probably worth every penny charged for them. If you are a regular reader of this column or an FDC collector, you are probably beginning to get the picture, or maybe even have the whole picture. Collections of this nature really are not designed for the serious FDC collector. Although they may be a very nice gift eventually given to a favorite grandchild as a family heirloom, they absolutely cannot be considered as an investment, for resale, or as something that can be integrated within a larger collection. Collections of this type that I've seen are usually produced on No. 7 envelopes. Thus, if the covers are extracted from their original albums, their nonstandard size prohibits them from being neatly remounted or exhibited. The covers include not only the usual Artcraft cachet and logo, but also the logo of-the Postal Commemorative Society, which tags them as having been created for a specialized collection. The presence of addresses on these covers reduces their resale value. 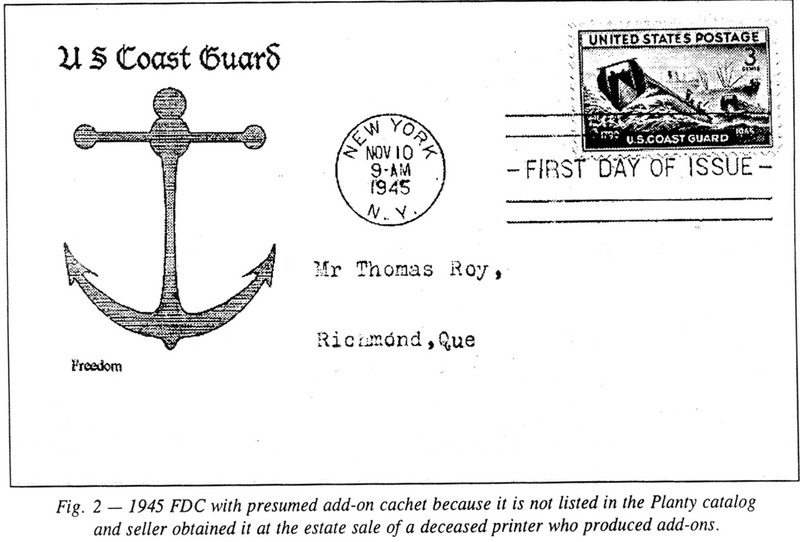 Hard-core FDC collectors generally want unaddressed covers for stamps issued after the 1940s. This is because collectors who show their collections do not want to create a paper trail for their prized possessions. Pre-1940 FDCs with addresses are looked upon as historical artifacts, which naturally had to belong to someone else before coming to the current owner. Often these items are somewhat older than the current possessor. We must also consider the cachets. Artcraft cachets are almost exclusively used on the Postal Commemorative Society's covers. As I have previously mentioned in this column, Artcraft (aka the Washington Press /Washington Stamp Exchange) prints an estimated 100,000 to 500,000 covers for each issue. With this large supply of Artcraft covers in circulation, the resale market remains permanently de-pressed. Nevertheless, the high production volume allows Artcraft to keep the original cost of its covers quite low (currently about $1.95 plus), and much less than what the Postal Commemorative Society charges. In conclusion, if you purchase a "special" collection, plan to keep it for your lifetime or give it as a gift to a novice collector. Now that's my opinion. Do you wish to express your opinion? In this day of almost unlimited sources of entertainment for both child and adult, we are seeing the ranks of the philatelists thinning. When we attend stamp shows we find that many of the people in attendance are age 50 or older. Also, many of our local clubs are losing members to demise. It is, indeed, a rather bleak picture for the future of philately. Bleak as it may be, though, we should continue to try to interest young people in the various phases of philately and its rewards. One of the hindrances for the youth cover collector is the expense, which is an important issue. There are ways, however, of controlling expenses, even for the meager financial re-sources of a young person. As I have mentioned in previous editions of this column, a great source of inexpensive covers at shows is in the stocks of dealers who do not specialize in covers, but for one reason or another have acquired them and want to move them. Such dealers will often sell these items for under a dollar each. It's always a good practice to have a knowledgeable philatelist accompany a young person when shopping for philatelic collectibles. The experienced collector will know what to ask to see from a dealer's stock and will recognize bargains. In spite of the fact that I've panned cover collections produced by the Postal Commemorative Society, these covers might be found at almost giveaway prices. Thus, if a youth is lucky enough to find such an aggregation, that youngster will have the nucleus of a cover collection. Nevertheless, the young collector should be notified that appreciation of such items is minimal. Covers with cachets by Artcraft, Artmaster and the like also can be purchased at reasonable prices from nonspecialized dealers. While these covers can be obtained directly from the producers at nominal costs, many dealers will often sell them at about half of the producer's original price. We must not overlook uncacheted covers. They frequently can be secured for as little as 10^ each. 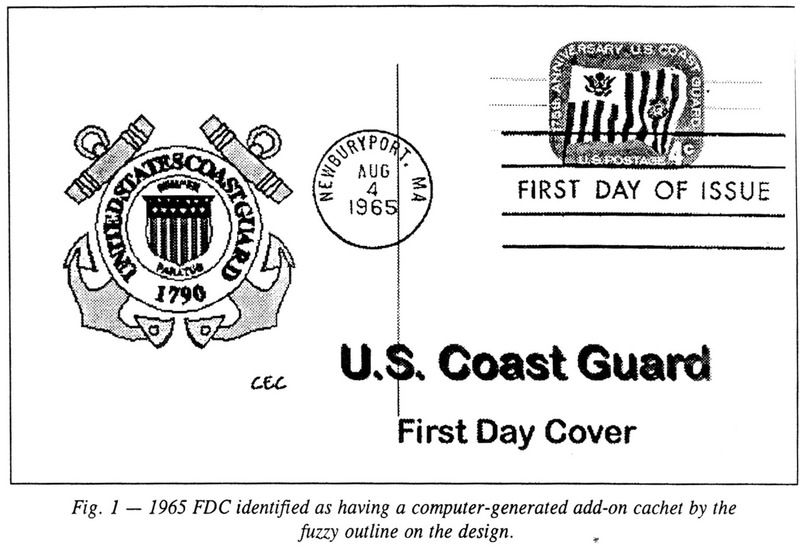 While such pieces are spurned by most adult FDC collectors, the youth's attention can be drawn to-the cancellation on the cover as well as the stamp. The value of such an approach to FDC collecting is that the young person is exposed to this aspect of philately without investing a fortune. Self-serviced FDCs also should be considered. They provide a good means of acquiring some contemporary FDCs at minimum cost. If desired, youngsters can apply their own cachets to self-serviced covers, either before or after they are serviced. Cachets can be hand-drawn, typewritten, or even computer generated, etc. 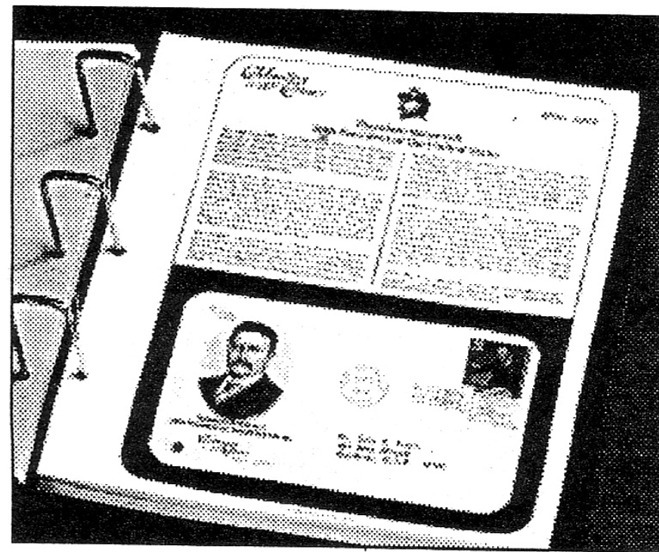 The American First Day Cover Society has a manual that suggests simple to complex methods of cachet production. The publication, Handcrafted Cachets: The Make Your Own Cachet and Envelope Handbook, by Gene H. Russell, are now in its third edition and is available at minimum cost. Another helpful item published by the AFDCS in pamphlet form is the FD C Handbook for Junior Collectors, by Monte Eiserman and Barry Newton. Please understand that if you decide to mentor a youngster, the youth's interest in philately may last only a few months or less before moving on to something else. This is expected behavior for most children within the ages of 6 to 14 years. If you see this happening, advise the child to safely pack away the collection and review it again in the future. A frequent question asked about "add-on" cachets is "Are they collectable?" I think they are. Some cover collectors have complete disdain for add-on cachets, but I find that at least some of them are most desirable. All this means is that you decide what you want to collect. Fearful of critics? Don't ever be. Such individuals are not worthy of your friendship. Opinions abound as to what an add-on cachet really is. I say it is a cachet that was added to a cover many months or years after the cover was first-day canceled, and a cachet maker who did not service the cover did the add-on. A cachet maker who wants to do add-on cachets usually purchases plain, serviced first-day covers at a show, from a private party, or at an estate sale. If the cachet is an add-on, it should be identified as such on the cover. Unfortunately, this is seldom done, making the recognition of some add-ons virtually impossible. If, however, the cover was serviced before 1970, it is possible to identify an add-on by checking the Planty or the Mellone catalogs. If not listed, an add-on is quite conceivable. The next step is to ask the seller if the cover has an add-on cachet. If he claims ignorance and the cachet is signed, you can look up the signature in Mellone's First Cachets or the American First Day Cover Society's Cachet-maker's Directory, which the society publishes annually. These two references list the time frame in which the cachet maker was active. If the cachet maker made his first cachet in 1970 and the cover was canceled in the 1960s, the identification of an add-on is substantiated. With so many people currently doing cachets, it's very difficult to recognize add-ons among modern FDCs. If, however, you notice a slightly fuzzy outline on the design portion of the cachet, it is most likely it was computer-generated. Generally speaking, computer-generated cachets did not come into their own until about 1994 or shortly before. Thus, if the cover was canceled before that date, it is an add-on. Figure 1 is an example of a computer-generated add-on cachet. I purchased this cover through eBay and the seller admits to having added the cachet on June 10, 2000. Notice that the card/cover is canceled on August 4, 1965. Planty catalog, and the seller informed me that he obtained it at an estate sale of a deceased printer who did add-ons. At times, a cachet is not considered an add-on even if it was applied to the cover after the first-day cancellation. This occurs when a cachet maker services covers while intending to apply a cachet but cannot do so before the first-day cancellation time expires. Cachet makers who hand-draw or hand-color cachets are under time constraints and often cannot complete their task before the first-day canceling period expires. These are not considered as add-ons. The unwritten rule is that if you service a number of covers and then apply the cachet within a reasonable time, your cachet is not an add-on. The ethics of add-ons demands that if you apply one, it should be noted on the reverse side or on the cover's insert. If you sell an add-on FDC, inform the buyer. If you purchase a cover and are not sure of its authenticity, ask the seller. Covers with add-on cachets usually sell for less than the genuine articles but may be priced much higher if they contain rather elaborate hand-produced cachets. If you exhibit FDCs with add-ons, always identify them as such within your display. It should be noted that if you include add-ons in your exhibit, you stand the chance of losing judging points. On the other hand, if you fail to identify an add-on and it is discovered, your whole project could be disqualified.